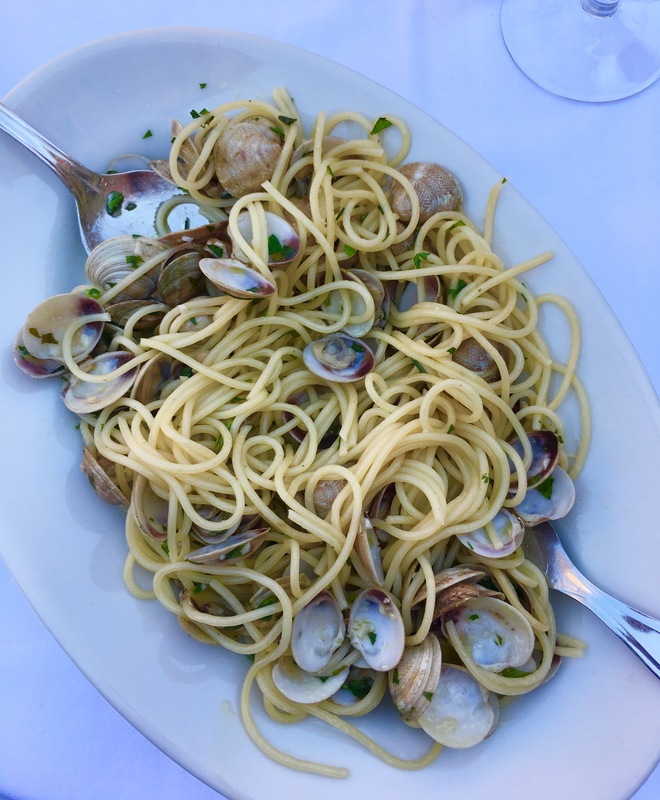 We are taking our inspiration for this dish from a recent trip to Venice in Italy. Warm sunshine sparkling on the canals and dining alfresco were the perfect backdrop for this classic Italian dish. 750g of small clams, washed, scrubbed and soaked in cold water. Discard any clams that aren’t fully closed. Bring a large pot of salted water to the boil. Add spaghetti and cook until al dente. Drain, drizzle with olive oil and set aside. In a large saucepan add olive oil, garlic and chilli gently cook until garlic is translucent. Increase heat, add white wine and clams and put lid on saucepan and cook for 3-4 minutes. Take off lid, discard any unopened clams and toss through spaghetti and parsley. Season with salt and pepper and serve immediately. Enjoy! ahhh I love a simple pasta and shellfish dish. great photos too!